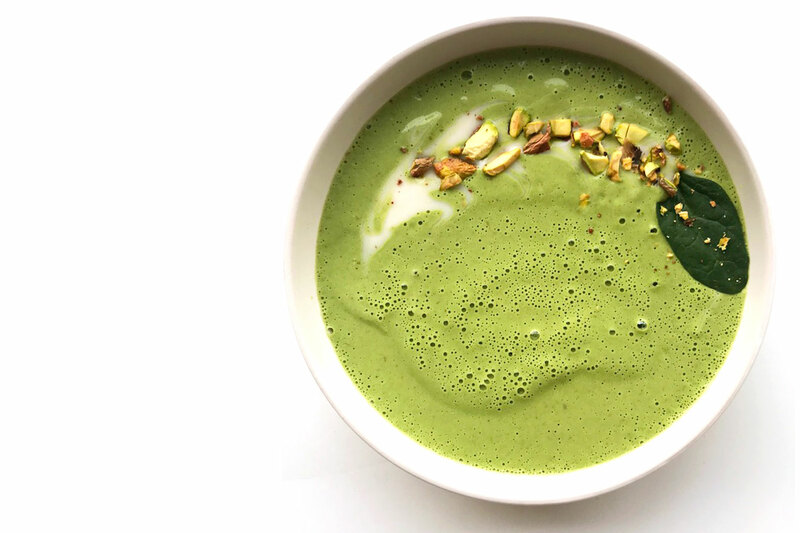 Recently we started experimenting with making raw creamy soups heated in the Vitamix and today we are sharing with you one of our favourite creations, to date. This vibrant soup is nourishing and satisfying, especially on a cold winter day! Durning chilly winter months most of us tend to crave more warming and comforting foods and it can be difficult to eat a big green salad every day. However, there is no reason to give up on the raw living plant-based foods. On the contrary, including foods that are rich in enzymes which are naturally present in raw fruits, vegetables, nuts, seeds and cultured foods that have not been heated over 115–118° F (45-48°C) is absolutely essential for maintaining good health all year long. 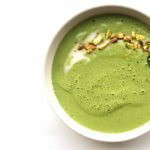 Blending soups and sauces in a high-speed blender like the Vitamix will warm the liquids gently. This will ensure that you are not damaging these heat-sensitive essential nutrients like vitamins, minerals and enzymes that would normally not survive the traditional cooking methods. Plus you can have an amazing nutrient dense meal ready to enjoy in less than 10 minutes! This soup is alive! Refreshing, nutrient dense chlorophyll-rich and full of alkaline-forming foods that make you feel great! To maximize the ingredients’ nutritional value this soup is kept raw. Packed with tons of flavour, live enzymes, full of fiber and very hydrating to the body. Perfect for sluggish digestion and constipated conditions. Place all ingredients into a blender and blend thoroughly until the texture is smooth and creamy. If you have a regular blender you may pour into a saucepan and gently warm over low heat, stir and watch carefully so as not to overheat it. It should be warm enough to enjoy but not too hot as the heat would damage the precious vitamins and enzymes that make it so nourishing. Top with chopped pistachios, hemp seeds, green onion, spinach leaves or fresh sprouts and serve. 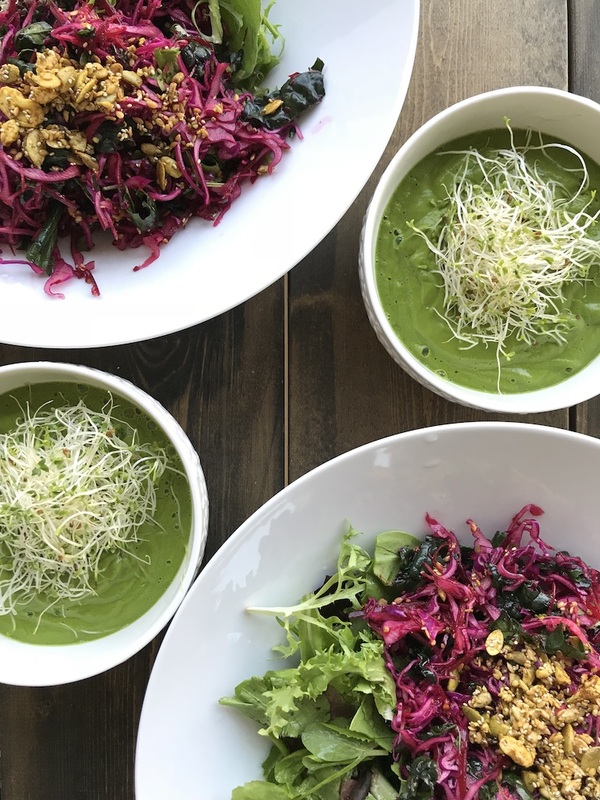 If you’re into fast and nutrient-rich dishes, be sure to check out more of our favourites like this Carrot Ginger Soup with Curried Raisin Relish and Raw Vegan Pad Thai. If you try this soup, let us know! Leave a comment, Pin for later, and don’t forget to tag a photo #avrecipes on Instagram. We would love to see your creations.